That there would be another season of Arrested Development on Netflix has long been a matter of "when" and not "if." Most of the top people involved with the series have said so ever since season 4 premiered in 2013, with Brian Grazer revealing in an interview in April that a 17-episode season was on the way. Netflix’s content chief said in July that talks with the actors were underway. Now, the show’s executive producer, narrator, and occasional actor, Ron Howard, has given another update on the series: Creator Mitch Hurwitz is "working with writers now" -- with Netflix and 20th Century Fox both on board -- but there’s no word yet about a production start date. "It’s hopeful. What has happened is that the cast has become so freakin’ in demand and busy. Everyone wants to do it. Fans want it. I would be saddened if we didn’t achieve it. I’m the announcer and the narrator, and I have to get back to that microphone." 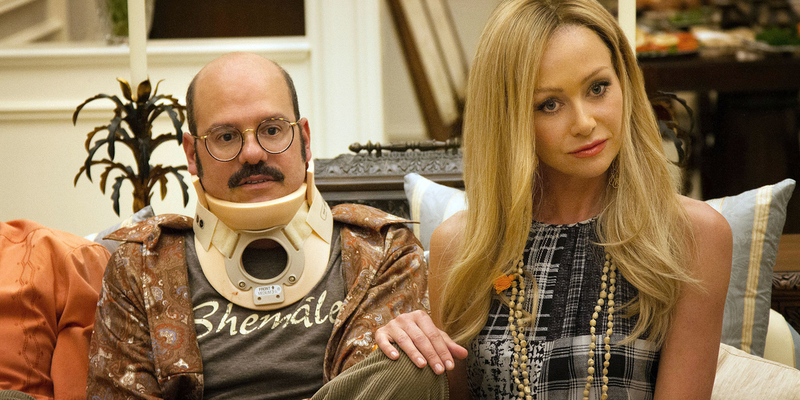 The news is encouraging for Arrested Development fans, as it seems to suggest the powers that be are working to make season 5 a reality. However, the one concern Howard raises is one that’s familiar to observers of the previous Netflix season: The cast of Arrested Development is very busy with other high-profile projects. Jason Bateman is in several movies a year. Jeffrey Tambor, with Transparent, has moved onto his next transcendent role. Jessica Walter is on Archer, Tony Hale is on Veep, and Will Arnett is usually on a show or two at any given time. Sure, Michael Cera isn't as busy as he used to be, but all 17 episodes can't be about George Michael. This makes the prospect of getting them all together logistically difficult. And even if they’re all on board, getting all the actors in the same room together is a huge challenge. And with the Bluths, having them all in the same room at the same time is sort of essential. Getting the writers assembled is one necessary but giant step. Getting the actors assembled? Even more necessary and difficult. But if there's one thing that is true of most Arrested Development fans, it's that they are willing to wait.